As overdose deaths soar in Maine and nationwide, he squanders an opportunity to make a real difference. President Trump’s promised “major briefing” this week on the opioid epidemic – held the same day the federal government reported record-high overdose deaths – spurns his own commission’s public health-oriented recommendations in favor of tough-talking, enforcement-centered policies that have already been shown not to work. In 2015, we lost about 142 Americans every day to overdoses – “a death toll equal to September 11th every three weeks,” notes the July 31 report from the president’s panel – and the toll is still climbing. 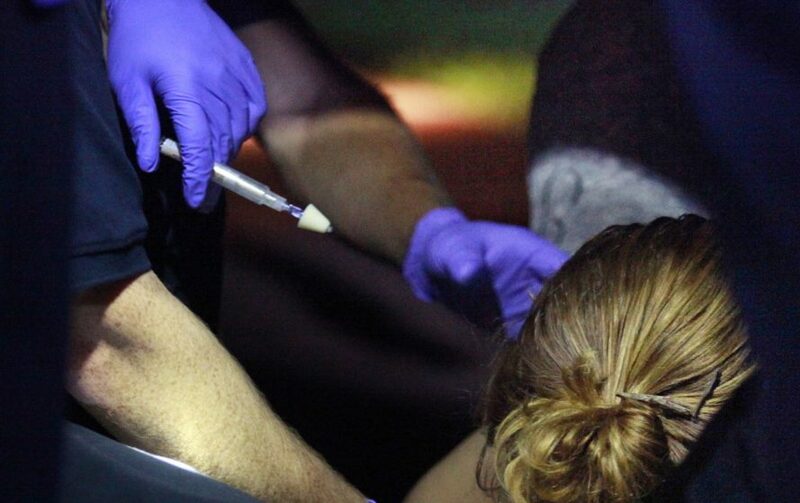 The fatal overdose rate in 2016 reached a record 19.9 deaths per 100,000 population between July and September, compared to 16.7 per 100,000 over the same period in 2015, according to federal estimates released Tuesday. On the heels of this devastating news, the president announced no new policies. Instead, he doubled down on ineffective current ones, calling for more abstinence-based addiction treatment and vowing to ramp up drug prosecutions and tighten drug sentences. The president’s tragically shortsighted proposals are at odds with the recommendations of his Commission on Combating Drug Addiction and the Opioid Crisis, which formally urged Trump to take steps that could make a real difference, like declaring a state of emergency – which would allow states or communities deemed addiction “disaster zones” to use federal funds for things like addiction treatment or the overdose-reversal medication naloxone. The panel also called for equipping all police officers in the U.S. with naloxone; increasing the use of medication-assisted treatment; expanding the number of treatment beds; cracking down on synthetic opioids, and broadening legal protections for people who seek help for overdose victims. All these are recommendations that those who are familiar with the drug crisis have been making for years – including in Maine, where everyone from addiction experts and treatment providers to police officers and corrections officials agrees that we won’t be able to combat the opioid epidemic until we address the shortage of beds in treatment programs and the lack of government funding to treat uninsured Mainers who need help but can’t afford it. And as bad as the crisis is in Maine, where a record 376 people died of overdoses last year, there are signs that it’s growing even more dire. Talk in the Portland-area drug treatment and recovery community – combined with the publication since July 22 of seven Press Herald obituaries that cite a drug overdose as the cause of death – has raised fears of a possible spike in overdoses in Maine’s largest city, caused by more powerful synthetic opioids such as fentanyl or carfentanil. Fentanyl, which is 50 times stronger than heroin, has already made inroads here. The percentage of overdose deaths in Maine involving the painkiller more than doubled between 2015 and 2016. But the influx of the elephant tranquilizer carfentanil, which is about 5,000 times as potent as heroin and officially claimed its first life in Maine in April, could cause the epidemic’s toll to metastasize to unprecedented levels. As a presidential candidate, Donald Trump pledged to help those struggling with addiction. As president, he’s squandering an opportunity to follow through on his promise, instead putting forth a substance-free plan of action that may beef up his tough-on-crime image but will do nothing to help the millions who have seen their own or their loved ones’ lives ravaged by this merciless epidemic.